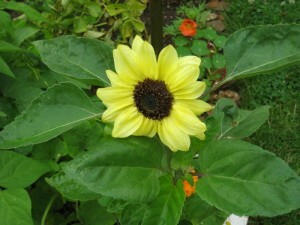 13th June 2012 – at Allotment Plot At MERL, there had been heavy rain on the 11th. The temperature was often chilly for June, but at that moment the sun was out, (although later in the day grey clouds would accumulate blocking the warmth of rays from the golden light object mass). Ella Montt was in a hurry; she was involved in the cultivation field so access to the Allotments Plots was limited. 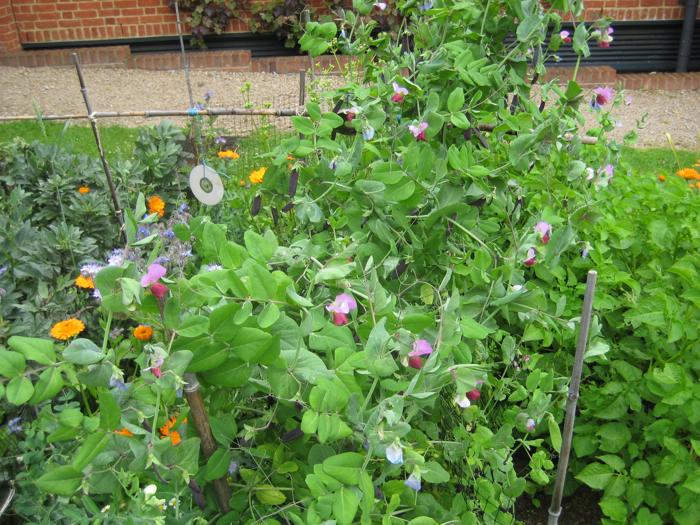 The Peas were flowering and Pods were starting to form. The Broad Beans had flowered, but Pods had not yet formed. 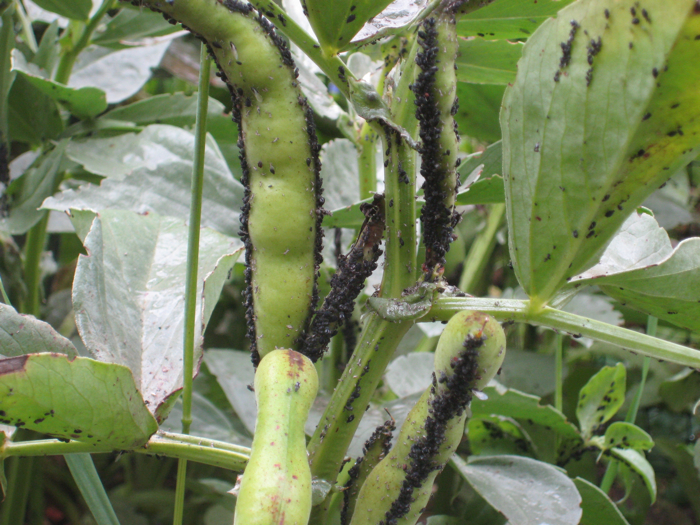 Some black fly was now present on the Broad Bean plants. The chill in the air was delaying the growth of many of the plants. At least rain had fallen recently to quench the plant roots thirst. Other companion plants were starting to flower; these were Borage, Calendula Pot Marigold, and Green Manure Phacelia. 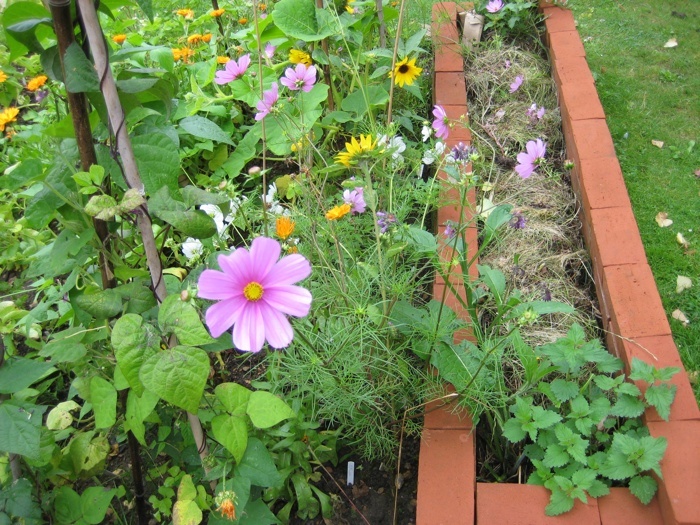 Other companion plants such as Chamomile, Cosmos and Sunflowers, were as yet still seedlings. At another location, the fixed up greenhouse, germinating seeds and seedlings were having difficulties, because the weather temperatures were so erratic and extreme. The heat and inclemency was causing inconsistent growth for un-established plant units, the result of which was becoming a system failure in adequate diversity of vegetable plants for the allotment-growing year. 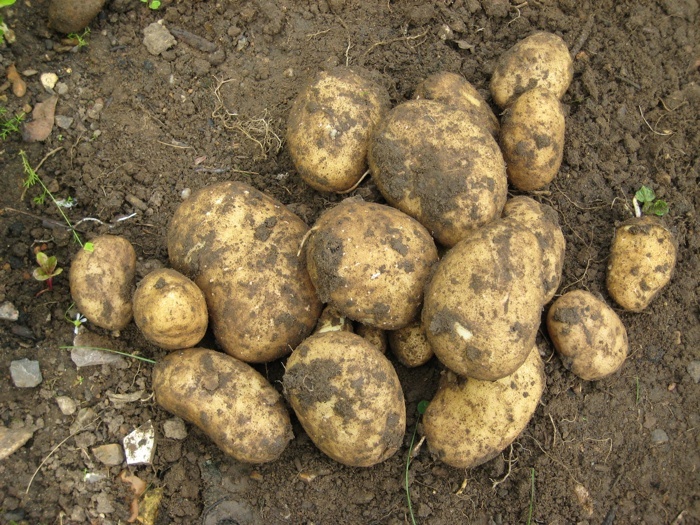 The alarm of unreliable vegetable production was not an ideal situation, but would be relieved temporarily by the Pea production at forthcoming harvesting. Meanwhile at Allotment Plot at MERL, most of the plants looked healthy and did not appear to be suffering. 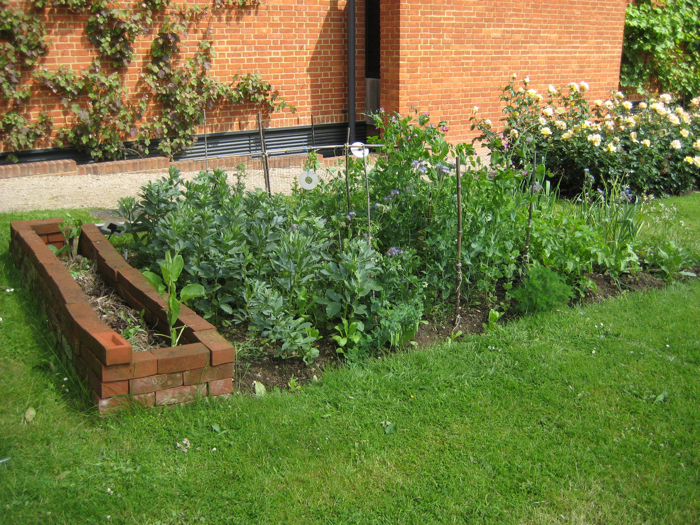 Ella Montt planted out two Gardener’s Delight Tomato plants and a Black Beauty Courgette between the Pea plants. Then she took a handful of Sweet Corn True Gold, Squash and Bean seeds, distributed them randomly (with intent) and embedded them in the soil. The Onions, the Garlic and the Potatoes physical condition were good. Rocket Esmee was flowering, because it had remained unharvested. 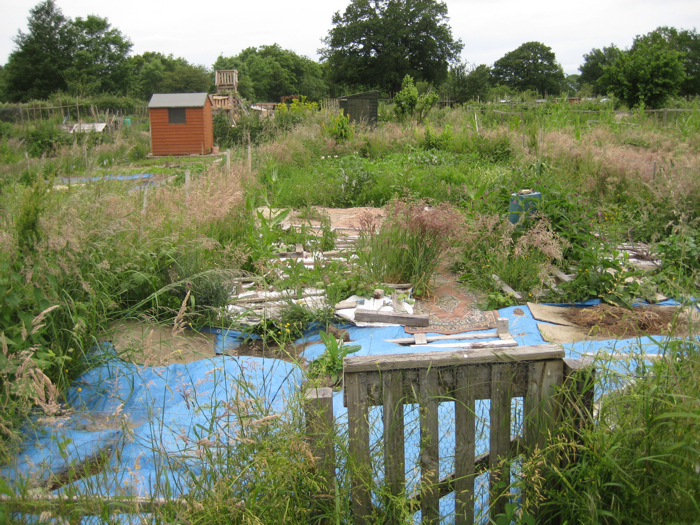 17th June 2012 – At Allotment Plot 326, a challenging situation had developed because the Allotment Plot had been left unattended. The plants were out of control and a chaotic situation of wild plant growth had over grown areas left uncultivated. Ella Montt quickly worked an area that had been somewhat protected by a cardboard covering. Then planted out Squash seedlings, unsure if they would be able to survive against the ferocious mouths of predators. More wild pants were already going to seed, so their removal would not stop the self-seeding reproductive system that was already in process. The Plot next to 326 had not been touched by human hand since early summer 2011 so each passing breeze amplified the situation of wild seed multiplicity. The potential fruit on the Apple and Cherry trees had disappeared perhaps because of drought followed by torrential rain and winds blowing with force across the unprotected Allotment. Harvest: Broad Beans Superaquadulce = 3lbs 11oz = 1.95kg; Chard = 7.5 oz = 205g; Spinach Perpetual Leaf Beet = 4.5oz = 130g. 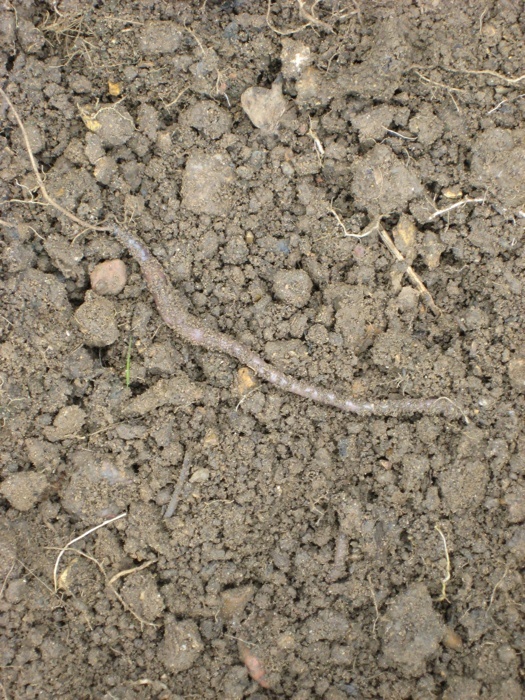 27th June 2012 – Pestilence had arrived at Allotment Plot at MERL in the form of a plague of Black Fly. So far the plague was only on the Broad Beans. It was disturbing to see the once healthy plants inflicted in this manner. The other plants seemed uninfected. The orange and blue of companion flowering plants and pink of the Pea flowers were striking against green plant foliage covering the rest of the Plot. The plague of insect life seemed to be consuming the plants energetic force field, suffocating the vibrancy that had pulsated through the plants. Harvest: a mixture of Peas = 11oz = 300g, Mange Tout Oregon Sugar Pod II = 11oz = 300g. 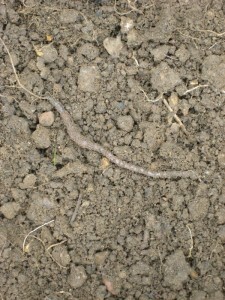 This entry was posted in Allotments, Black Fly, Exteme Weather and tagged Allotments, Black Fly, Companion Planting on June 30, 2012 by katecorder.